For owners of ecommerce businesses, it is imperative to have a clear understanding of how buying and selling online has evolved in the past couple of years. Also, an understanding of where it is heading will go a long way in helping you to make an informed choice on the subject. A reliable and secure website should be the top priority in your mind as you conduct your feasibility study because it prevents a lot of headache in the long run. It is always a good idea to think cost-effectively when searching for a hosting company. That said, be aware that the cheapest is not always the best and they may not be able to fulfil all your hosting needs to a high standard. If your website is just personal or an information-only site, any provider may suffice. On the other hand, people who wish to conduct serious online retail transactions may be better off seeking the assistance of a web design agency. Alternatively, you can make your choice of top hosting companies like the ones listed below. Rewards and discount coupon management features. With YoKart, the owner of the marketplace gets a lifetime license as well as the website’s source code. The only downside is that, as it is not an open source, you will need a developer who is versed in PHP to be able to customize it. Their GoQuick and Startup packages are equipped with a default theme. As their main focus is SMB, the features needed to effectively operate it are already embedded in the standard packages; larger enterprises will just have to customize. Magento has been in existence since March 2008, and it is one of the most popular open source ecommerce platforms. It has the advantage of scalability and reliability which has attracted prominent companies like; Huawei, Liverpool F.C, Burger King and Pepe Jeans who have their business website currently running on Magento. The only disadvantage is that not everyone can conveniently manage it – if the owner of the marketplace is not a programmer, then they will need to include experienced programmers in their team. Although the basic version comes without charges, the enterprise version is expensive to install and maintain annually – there are also programming costs to bear in mind. This Brazilian cloud-based e-commerce hosting company is also among the popular ones. As at 2016, its gross merchandise value was pegged at $1.8 billion. They have a healthy customer base which comprises of some local retail chains of several of the global key players like Coca-Cola, Walmart, Sony, Whirlpool, Staples, Disney, Lego, L’Oreal and several others. One notable factor that distinguishes VTEX from others is its Password Free Checkout which is believed to be the reason behind their 30% boost in organic traffic, 54% increase in Conversion rate and 28% hike in revenue. Its shortfall comes from the fact that marketplace owners cannot have complete control of their own storefronts or its source because VTEX is based on the SaaS model. Many big names in the world of business have Layershift as their website provider. Their services include specific solutions as well as some advisory pages aimed at e-commerce web hosting. Other facets of their services encompass easy installation, automated data backup (every six hours), security solutions and management of hosting services. It also comes with 24/7 support for the marketplace owner. Rackspace’s online store solutions are primarily for bigger businesses. It comprises a variety of managed services and has sufficient expertise in cloud hosting technology. Rackspace’s packages includes Linus and Window cloud servers which are targeted at sites with low storage levels and traffic – needing just 1GB of RAM. It also comes in handy for intensive requirements of as much as 120GB which is obviously for very high traffic sites. These two RAM limits are at both ends of the spectrum provided by Rackspace and their services can also be used by sites whose RAM requirements fall within these limits. Here you have a free hand to host limitless products, and you are also free to include blogs, customer loyalty schemes as well as promotional stickers. Shopify is an e-commerce solution based in Canada. Since its inception in 2004, it has been enabling online businesses worldwide to conduct their day to day transactions effectively. Their main focus is mobile shopping and the trending social commerce. Until now, they have kept abreast of the evolving technologies and e-commerce trends. Shopify was first to introduce powerful solutions such as social shopping where you manage to retain your customers on their social media platform so they will continue to patronize your business. Shopify can be directly integrated using your Facebook account, and you can turn it into an e-commerce store at a relatively small cost. The downside is that Shopify attracts extra fees for special features that you do not necessarily need. 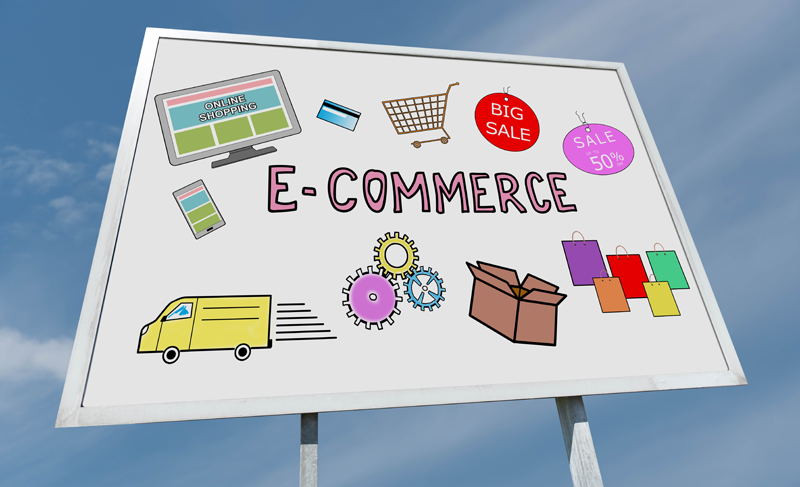 When it comes to e-commerce, WooCommerce needs no introduction at all. It is a free WordPress plugin, equipped with a shopping cart and a secure payment gateway that work very well together. It is open source and very convenient to use for WordPress enthusiasts, but it requires an extra plugin to build a multi-vendor e-commerce store. Installation comes without charges but a complete integration of the shopping cart with the system attracts some fees. The downside of WooCommerce is the lack of scalability – the system slows down as you acquire more products, sellers and buyers on your database.